I just don’t see him doing it. I think it would help him extend his "shelf life" in TV commercials and possibly elevate it, so I think he'll probably do it, and would be fantastic. 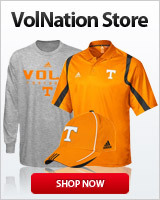 It's a placeholder until he becomes the head football coach of the UT Vols. The guy is too smart. Could you imagine a conversation on MNF between Manning and Brady? When it comes to NFL, I generally "Take A Knee"!!! However, if Peyton is involved I would watch MNF!! When it comes to NFL, I generally Take A Knee!!! l I concur. Peyton might be the reason I'd resume watching the National Felons League. I think it's Archie's boy. I don't want him to break up the band with Brad Paisley. I hope he takes it and still attends games on Saturdays. No doubt. Different level as a combined analyst and personality. The only drawback would be that he’s putting himself in front of the Shaun Kings and “survivor” hordes. Should take a spot on CBS SEC football. I don’t see it being a good fit. Should be the new voice of the Vols. Omaha! His biggest challenge will probably be how to dumb it down so most viewers can understand. If he gets too detailed or technical it won't work. He will need to find the happy medium between too much detail and yet enough fot those who can comprehend. It will work for all of us viewers who pine for more detail, not the obvious crap that often passes for "expert" color commentary now: "the Lions really need to get a score here in the next couple of minutes so that there will be time to kick off and play defense. Otherwise, they'll have to onsides kick".